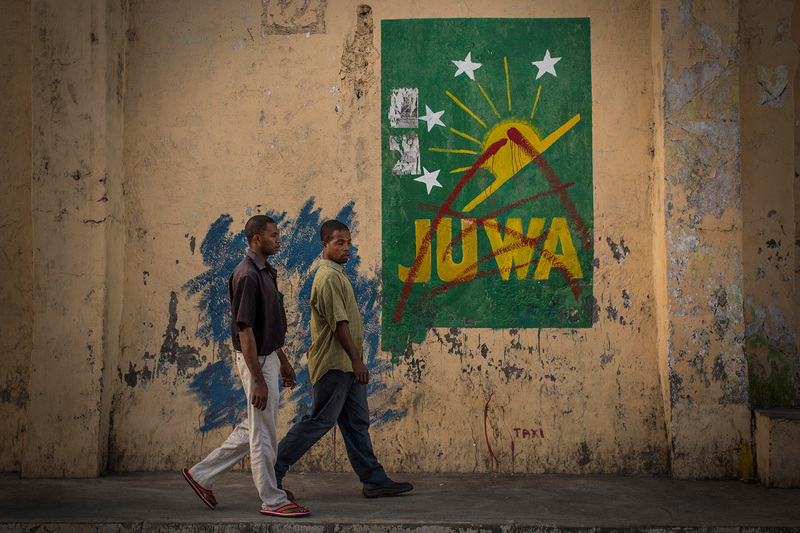 Men walk on the pavement in front of a painted logo of Juwa on Thursday, June 18, 2015 in Mutsamudu, Anjouan. The political party of former president of Comoros Ahmed Abdallah Sambi won the last legislative elections in February 2015 and prepares the candidature of Sambi for the 2016 presidential election. The country is facing many problems as unemployment, water and electricity shortage and constantly delaying salary payment.